NEW YORK -- Rats and cockroaches have long been known to coexist among the more than 8 million human residents of New York City, but new data show that raccoons are becoming an increasing presence across the five boroughs, too. The New York Times reported Sunday that there were 1,581 calls to the 311 help line about raccoon control in 2015. That's up from 936 in all of 2014. 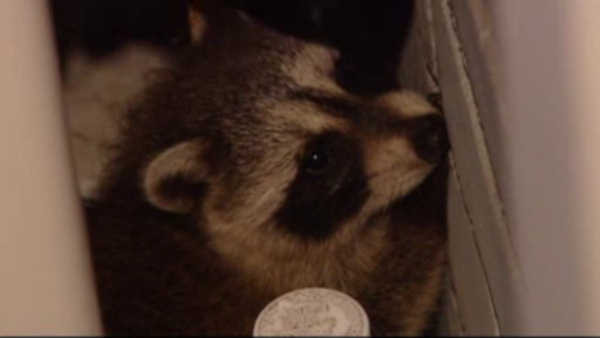 The growth of urban raccoon sightings is notable because by law, the potentially rabies-carrying mammals must be euthanized if captured. But some trappers told the newspaper they often release raccoons back to parks or wilderness areas. The released raccoons then return to the big city. The paper says female raccoons have turned vents and chimneys of homes into dens to deliver their kits.